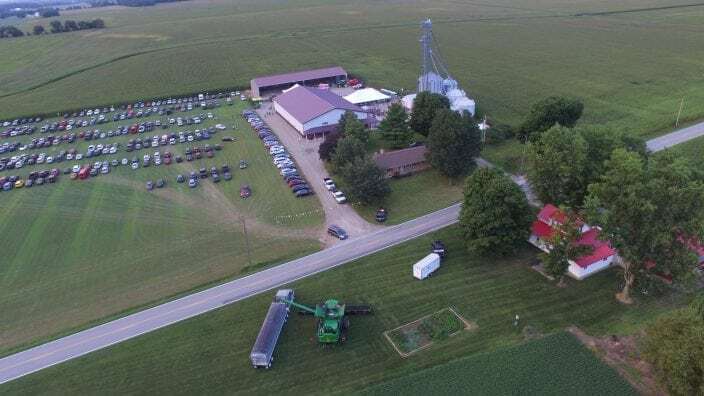 This year’s Benefit in the Barn was a record-breaking event! With 850 people in attendance and the support of our generous donors, we were able to raise $62,000. The proceeds will go to fight hunger in our communities. The Delaware Hunger Alliance and the Hope Center will use these funds to ensure our neighbors don’t go hungry. Thank you to Jim and Mary Rodman of We Feed U Farms for being our hosts. Benefit in the barn wouldn’t have been possible without many supportive sponsors. The Delaware County Foundation was again this year’s Presenting Sponsor. Performance Chrysler Jeep Dodge Ram – Delaware and Honda Marysville sponsored the dinner portion of the program. Other sponsors included Safelite Foundation, Cargill, United Way of Delaware County, First Commonwealth, Agee, Clymer, Mitchell and Portman, Trillium Farms, Nationwide, Wright Moore Law offices, Richwood Bank, Ohio Corn & Wheat Growers Association, First Citizens Bank, Farm Credit, Ag Credit, Becks Hybrids, Maloney and Novotny, Kalmbach Feeds and Dawson Farms, Price Farms, Ohio Health, Memorial Health, Lee Farms, Select Sires, Milholland Financial, Union Rural Electric, Barrett, Easterday, Cunningham and Esselgroth, Heritage Co-op, Holbrook and Manter, Jack Fling Nationwide, Evolution Ag, Union County Foundation and Culver’s of Marysville. The Delaware and Union County Farm Bureaus would also like to sincerely thank the co-chairs of this event, Doug Loudenslager and Rob Leeds. Thank you to all who helped make this event a success!